Come and meet Dr. Lies along with our friendly staff. In-depth evaluation of your dental concerns and needs, health and wellness. Diagnosis of source of discomfort and necessary treatment. More diagnostic X-rays then film X-rays, much less radiation. Taking care of your teeth can help you enjoy a lifetime of healthy, beautiful smiles. During your cleaning appointment, we will perform a professional cleaning to remove plaque, tartar and superficial stains. The gums are the foundation for a healthy mouth, so caring for them properly is of the utmost importance. In-depth cleaning on patients who have been treated for or has periodontal pocketing. Fluoride is a naturally occurring mineral that can help prevent tooth decay. It works by interfering with the processes of oral bacteria and by strengthening dental enamel, which makes it more resilient against the acidic byproducts of oral bacteria. Composite (tooth-colored) fillings are used to repair teeth affected by minor decay or damage. Composite fillings are a durable, aesthetic choice that can restore your tooth’s function, health, and appearance. Composite resin is available in a number of shades, allowing your dentist to match the color of your filling to your natural tooth color for a beautiful, natural-looking restoration. If you are missing one or more teeth in a row, a dental bridge can effectively restore the function, health, and beauty of your smile! A dental bridge replaces the missing tooth by anchoring the artificial tooth to two dental crowns, which are placed on the two teeth or dental implants adjacent to the gap. Dental sealants are a simple, effective treatment that can prevent tooth decay. Sealants are most often applied to the back molars, as they are a common site of tooth decay. Dental sealants create a smooth surface on the tooth, which is easier to clean and helps to protect the tooth from food particles and bacteria that cause decay. Simple removal of a painful tooth, may be the best option for restoring your oral health if a tooth is significantly damaged or decayed. Tooth extraction can help prevent infection from spreading to other areas of the mouth and can allow you to begin improving your oral health. Dentures are removable restorations that can be used to replace missing teeth. Two types of dentures are available, which are full and partial dentures. Full dentures are supported by a flesh-colored base that covers your gums, and the prosthetic teeth are attached to it. They are fully customized to fit your mouth comfortably and securely. This includes providing preventive care and minor orthodontic treatments, and educating patients on the significance of oral health, and positive hygiene habits. 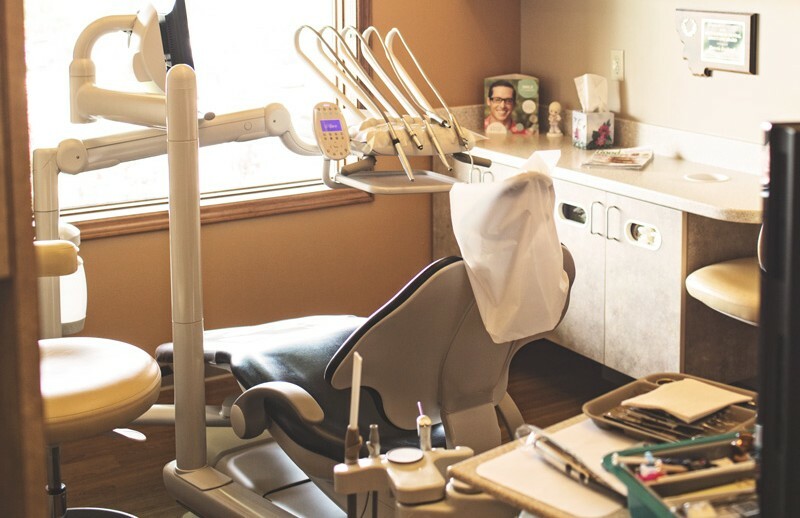 We are proud to count families amongst our patients and would be happy to help if you are seeking a general dentistry practice in Great Falls, MT.